Congress president Rahul Gandhi’s statement comes after the party announced Priyanka Gandhi will be in charge of eastern UP ahead of the 2019 general elections. Amethi: Welcoming his sister’s entry into active politics, Congress president Rahul Gandhi Wednesday said he was “very happy” that Priyanka will assist him in the Lok Sabha polls. “I am very happy that my sister Priyanka will assist me in Uttar Pradesh in the Lok Sabha polls, she is very capable,” Rahul said. His remarks assume significance in the light of the Congress party’s decision to go it alone in the Lok Sabha elections in Uttar Pradesh. 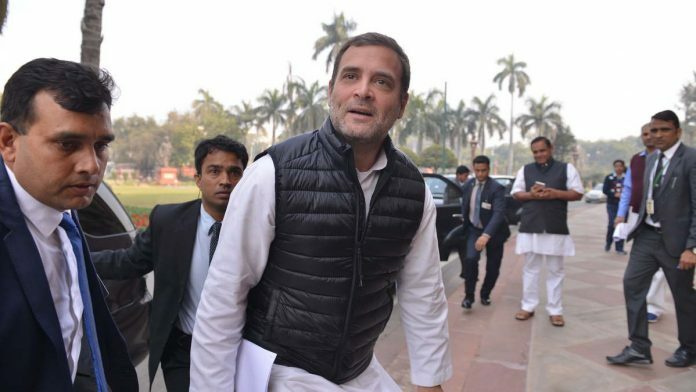 Rahul, however, said that he was ready to “cooperate” with these parties to defeat the BJP.